Cast on 6 stitches and join as for the magic loop technique. Round 3 – 4 knit. fleece. Shape it to a wonderfully round and firm shape, making it pointed at the end of the acorn and then pull your wool needle tightly and finish off the top of your acorn. Sew in all you ends. 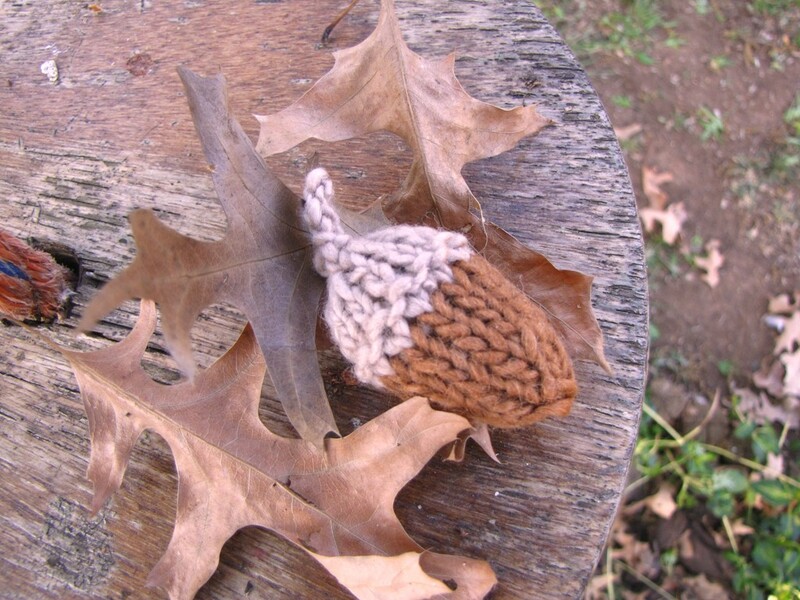 At the base of your acorn cap, pick up 2 stitches with a double pointed needle and knit an I-cord for a few rows to the desired length. Cast off. Have a great day everyone, happy knitting!